What is Low back pain and who gets it ? Low back pain often referred to as LBP, with or without leg pain otherwise known as sciatica is an extremely common condition affecting over 80 % of us at some time in our lives. It is by far the most common problem resulting in patients presenting to our clinic in Eskbank near Edinburgh and our Occupational Health clinics that we run. The next most common problems being neck pain and sports injuries. Therefore it is safe to say that we have considerable experience in it’s assessment, treatment and successful management. At least 15% of the population report a degree of back pain at any one moment in time. It can be classed as acute(lasting up to 6-8 weeks), sub acute(lasting 8 – 12 weeks) or chronic(lasting more than 3 months). Additionally the risk of low back pain reoccurring is high. With the reoccurrence rate being reported as being between 44 % and 78 %. The variation between the rates being due to differences in how you measure and define reoccurrence. What symptoms can I expect to have ? Your symptoms may affect your low back or lumbar spine area and/or one or indeed both of your legs as well. It is not uncommon to have no low back pain at all and to only have leg symptoms. Your symptoms may include pain, muscle weakness, numbness, pins and needles or other altered sensation. A history of repeated episodes of acute low back pain with no or little symptoms in between acute episodes is a common one. Also common is a history of having ongoing constant or chronic pain. Which is punctuated by exacerbations or flare ups of pain. Why do I have low back pain ? The way low back pain starts is extremely variable. Sometimes there will be a clear causative factor, such as heavy lifting or prolonged sitting. However far more frequently the patient will report that the pain occured for no apparent reason. This is often a matter for concern with patients understandably concerned that there is some more serious underlying pathology. While this is in fact extremely rare. You can rest assured that an important part of your initial assessment, is to identify any signs or symptoms which would suggest that there may be a more serious pathology present. If indeed your physiotherapist did think that this was the case, they would liaise with your GP or other medical practitioners as appropriate. It is often difficult to identify a specific structural cause or source of low back pain and in fact 95 % of patients with acute low back pain are classed as having mechanical or non specific low back pain. This means that it is not always possible to accurately identify the source of the pain. It also means that unless your GP or another clinician such as a physiotherapist feels that it would be useful to rule out any serious pathology. For example a lumbar spine fracture following significant trauma or if your GP or physio felt that you might be a candidate for surgery. An X ray or other investigation will not yield useful information that will change the management of your problem and in the case of an X ray or CT scan will result in you being exposed to unnecessary radiation. Therefore the current National Institute of Clinical Excellence or NICE guidelines recommend not routinely referring for Lumbar spine X rays, unless a specific pathology is suspected. For more information this article about the role of imaging including X rays as well as MRI scans and CT scans from Arthritis Research UK may be interesting. So then what to think about a scan or investigation which shows “wear and tear” or some other pathology being present? If you have had a scan or X ray and serious pathology has been ruled out. It may well be the case that you have been told that you have some kind of disc problem such as a disc bulge, prolapse or slipped disc. Alternatively you may have been given a diagnosis of spinal stenosis, spondylosis, or spondylolisthesis. More likely you will have been told that you have a combination of a number of these pathologies. At this point you may be thinking that there is nothing that can be done and that you have to resign yourself to long term pain and loss of function. Don’t worry this is not the case, as mentioned above the primary role of investigations such as X rays and MRI scans is to rule out serious pathology. A secondary role is to check if the nature of your spinal problem would be amenable to surgery. Less than 1% of those with low back pain will benefit from surgery. Therefore if you have had an X ray or scan and have been told that you do not have any serious illness and that the nature of your problem will not respond to surgery. You are part of the over whelming majority of people with low back pain. It is not the end of the world that these changes are present. They don’t necessarily equate to you having pain indefinitely. It is possible to be pain free(or at least to have significantly less pain) and get back to the activities that you want to do. Even if these changes are present. For more information and in depth discussion demonstrating that there is little difference in the incidence of spinal pathologies such as disc degeneration, disc herniation, spondylosis and spondylolisthesis. In those populations with back pain and those populations that don’t. Please see the original paper here and to follow this link to see an excellent graph courtesy of Adam Meakins. So then what can I do about low back pain and how can Physio help? While there is no one cure or fix for low back pain, there is a consensus that an approach that consists of advice regarding pain relief, manual therapy(if applicable), a specific graded exercise programme that is tailored to you and to your specific needs, and advice addressing lifestyle factors such as how long you tend to sit for, ergonomic issues including carrying out a DSE assessment if required and any other relevant issues can be effective in the majority of cases. All of our clinicians have been qualified for over 15 years and have a wealth of experience in assessing and treating low back pain. We will assess and treat you as an individual in a holistic manner that is tailored to your specific needs, concerns and goals. 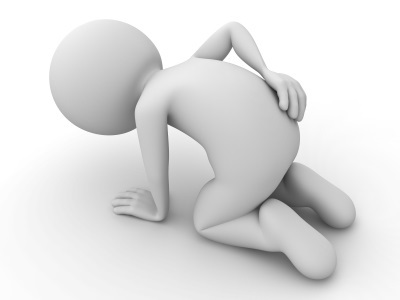 When you attend the clinic with low back pain your physio will first carry out a subjective assessment to find out the way your symptoms such as pain, numbness, pins and needles or muscle weakness started and the affect that your symptoms are having on your quality of life and overall level of function. This would include your ability to carry out activities of daily living such as washing, dressing and driving and your ability to carry out sporting and work activities. In addition to asking how long you have had your problems your physiotherapist will ask questions relating to your medical history, what medication you are on and certain screening questions which help to screen for more serious causes of low back pain. A thorough objective assessment will then be carried out looking at your posture and the range of movement of your lumbar spine, your hips and your nervous system. Your reflexes, muscle power and sensation would be assessed. To check for significant compromise of your nerves, which can occur due to disc pathologies such as disc degeneration or disc prolapse or bulge and/or other pathologies such as spinal stenosis. Your back would then be palpated (if appropriate) to assess for the presence of muscle spasm and to assess the degree of spinal movement available. Your lumbar spine stability would then be assessed, this refers to your ability to control the position of your back under different loads and challenges. There is considerable research finding that in the presence of pain. Your ability to stabilise your lumbar spine and pelvis is adversely affected and that this inability to control your spine and pelvis may contribute to your symptoms. There is also research suggesting that an impaired ability to stabilise your lumbar spine is linked with an increased risk of reoccurence in the future. Therefore it seems sensible to start lumbar spine stabilisation exercises as soon as possible. At all times your physio will communicate with your GP as appropriate to expedite your recovery, this could range from requesting that your pain relief is reviewed to suggesting referral onwards if they think that surgery could be an option for you. We can see you in our clinic in Eskbank near Edinburgh quickly and at a time that is convenient to you, as we are open from 8 am to 8 pm. We don’t require you to have seen your GP first so you can self refer and we don’t have a waiting list so we can see you quickly. Although if you are using health insurance we would suggest that you speak to your insurer first. Please contact us to book an appointment or if you have any questions. This entry was posted in Conditions we treat and tagged Low back pain, Manual therapy. Bookmark the permalink. ← The new Waverley line has arrived !